Who could have caused this amount of pain to Archie? His latest matches in the ring are probably deadlier than we realize. 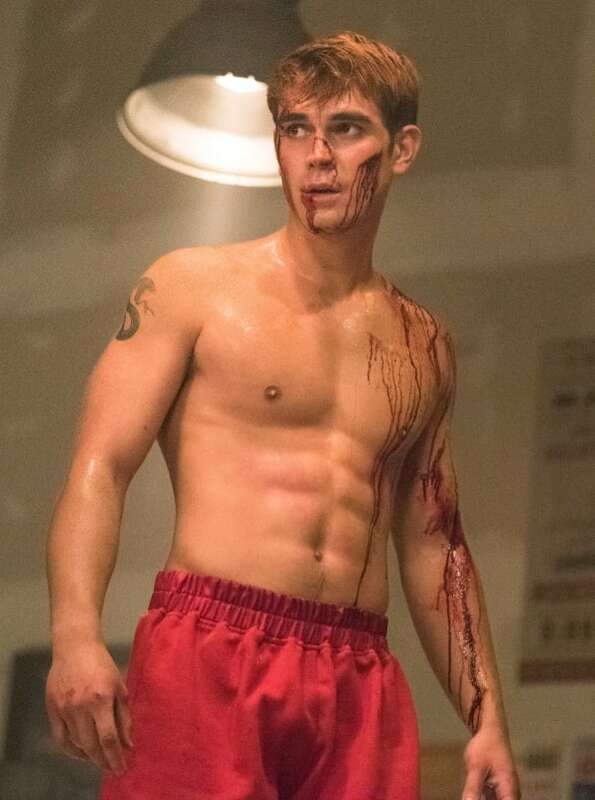 Riverdale Season 3 Episode 15: "Chapter Fifty: American Dreams"
Riverdale Review: Can Edgar Evernever Raise the Dead? Toni: Cheryl, I love you. And yet, I can’t spend all my time cooped up in that house and in your bedroom. Toni: That’s exactly it, it doesn’t feel like our bedroom. It’s entirely yours ... your space. Cheryl: It sounds, Toni, that you regret moving in with me. Toni: Well maybe it was too soon? Too fast. Cheryl: In that case, maybe you moving out is exactly what needs to happen! Permalink: In that case, maybe you moving out is exactly what needs to happen! Hiram: No, I want you to keep those ... and the gym. Hiram: It’s not a debt, Archie. It’s compensation. It’s a way for me to make amends since I was responsible for launching the Red Paladin quest in the first place. Hiram: Take the keys. The gym is yours ... no strings attached. Archie: Thank you, Mr. Lodge. Permalink: Thank you, Mr. Lodge.